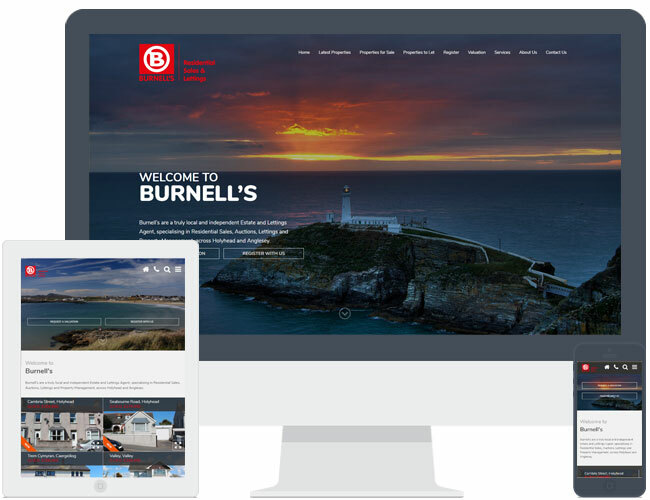 Burnell’s upgraded their existing responsive Expert Agent website to theme R6. This example includes a 3rd party instant valuation tool and uses the image slider instead of the video. It also includes changing banner slider text which is a chargeable extra, and extra pages.